Financial System in a country comprises of various intermediaries who play crucial roles in sourcing out the funds from the surplus segment & deploying such funds to the needy segment. The intermediaries are banks, financial institutions, mutual funds, etc. Money market is a market for short-term financial assets that are close substitutes of money. The most important feature of a money market instrument is that it is liquid and can be turned into money quickly at low cost. The call/notice/term money market forms an important segment of the Indian Money Market. Under call money market, funds are transacted on an overnight basis and under notice money market, funds are transacted for a period between 2 days and 14 days & under the Term Money Market, funds are funded are transacted for a period between 15 days and 365 days. Scheduled commercial banks (excluding RRBs), co-operative banks (other than Land Development Banks) and Primary Dealers (PDs), are permitted to participate in call/notice money market both as borrowers and lenders. CP, as a privately placed instrument, was introduced in India in 1990 with a view to enable highly rated corporate borrowers to diversify their sources of short-term borrowings and to provide an additional instrument to investors. Primary Dealers (PDs) and all-India financial institutions (FIs) were also permitted to issue CP to enable them to meet their short-term funding requirements. The borrowal account of the company is classified as a Standard Asset by the financing bank/institution. CP shall be issued in the form of a promissory note. CP shall be issued in denominations of Rs. 5 lakh and multiples there of. CP shall be issued at a discount to face value as may be determined by the issuer. CP shall be issued for maturities between a minimum of 7 days and a maximum of up to one year from the date of issue. select All-India Financial Institutions (FIs) that have been permitted by RBI to raise short-term resources within the umbrella limit fixed by RBI. Minimum amount of a CD should be Rs.1 lakh, and in multiples of Rs. 1 lakh there after. Maturity period of CDs issued by banks should not be less than 7 days and not more than one year, from the date of issue. FIs can issue CDs for a period not less than 1 year and not exceeding 3 years from the date of issue. CDs may be issued at a discount on face value. Banks / FIs should issue CDs only in dematerialised form. Non – Convertible Debenture (NCD) means a debt instrument issued by a corporate (including NBFCs) with original or initial maturity up to one year and issued by way of private placement. “Corporate” means a company as defined in the Companies Act, 2013 (including NBFCs) and a corporation established by an act of any Legislature. NCDs shall not be issued for maturities of less than 90 days from the date of issue. Call Money means deals in overnight funds. Notice Money means deals in funds for 2 –14 days. Term Money means deals in funds for 15 days-1 year. Primary Dealer (PD) means a financial institution which holds a valid letter of authorization as a PD issued by the Reserve Bank. Issuing and Paying Agent (IPA) means a Scheduled Bank acting as an IPA. It is a tradeable instrument issued by the Central Government or the State Governments. It acknowledges the Government’s debt obligation. These securities can be short term (usually called treasury bills, with original maturities of less than one year) or long term (usually called Government bonds or dated securities with an original maturity of one year or more). 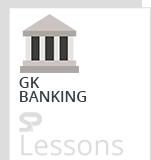 G – Secs carry practically no risk of default and, hence, are called risk-free gilt-edged instruments. Note: In India, the Central Government issues both, treasury bills and bonds or dated securities while the State Governments issue only bonds or dated securities, which are called the State Development Loans (SDLs). Treasury bills or T-bills, which are money market instruments, are short term debt instruments issued by the Government of India and are presently issued in three tenors, namely, 91 day, 182 day and 364 day. These are zero coupon securities and pay no interest. They are issued at a discount and redeemed at the face value at maturity. In 2010, Government of India, in consultation with RBI introduced a new short-term instrument, known as Cash Management Bills (CMBs), to meet the temporary mismatches in the cash flow of the Government of India. The CMBs have the generic character of T-bills but are issued for maturities less than 91 days. Dated G-Secs are securities which carry a fixed or floating coupon (interest rate) which is paid on the face value, on half-yearly basis. Generally, the tenor of dated securities ranges from 5 years to 40 years. Note: The Public Debt Office (PDO) of the Reserve Bank of India acts as the registry / depository of G-Secs and deals with the issue, interest payment and repayment of principal at maturity. Fixed Rate Bonds: These are bonds on which the coupon rate is fixed for the entire life (i.e. till maturity) of the bond. Floating Rate Bonds (FRB): FRBs are securities which do not have a fixed coupon rate. FRBs were first issued in September 1995 in India. Zero Coupon Bonds: Zero coupon bonds are bonds with no coupon payments. Capital Indexed Bonds: These are bonds, the principal of which is linked to an accepted index of inflation with a view to protecting the Principal amount of the investors from inflation. Inflation Indexed Bonds (IIBs): IIBs are bonds wherein both coupon flow sand Principal amounts are protected against inflation. The inflation index used in IIBs may be Whole Sale Price Index (WPI) or Consumer Price Index (CPI). STRIPS (Separate Trading of Registered Interest and Principal of Securities): STRIPS are the securities created by way of separating the cash flows associated with a regular G-Sec i.e. each semi-annual coupon payment and the final principal payment to be received from the issuer, into separate securities. They are essentially Zero-Coupon Bonds (ZCBs). SGBs are unique instruments, prices of which are linked to commodity price viz Gold. SGBs are denominated in multiples of gram(s) of gold with a basic unit of 1 gram. The tenor of the SGB is for a period of 8 years with exit option from 5th year to be exercised on the interest payment dates. State Governments also raise loans from the market which are called SDLs. SDLs are dated securities issued through normal auction similar to the auctions conducted for dated securities issued by the Central Government. Interest is serviced at half-yearly intervals and the principal is repaid on the maturity date. OMOs are the market operations conducted by the RBI by way of sale/ purchase of G-Secs to/ from the market with an objective to adjust the rupee liquidity conditions in the market on a durable basis. When the RBI feels that there is excess liquidity in the market, it resorts to sale of securities thereby sucking out the rupee liquidity. Similarly, when the liquidity conditions are tight, RBI may buy securities from the market, thereby releasing liquidity into the market. Repurchase (buyback) of G-Secs is a process whereby the Government of India and State Governments buy back their existing securities, by redeeming them prematurely, from the holders. The objectives of buyback can be reduction of cost (by buying back high coupon securities), reduction in the number of outstanding securities and improving liquidity in the G-Secs market and infusion of liquidity in the system. LAF is a facility extended by RBI to the scheduled commercial banks (excluding RRBs) and PDs to avail of liquidity in case of requirement or park excess funds with strong>RBI in case of excess liquidity on an overnight basis against the collateral of G-Secs including SDLs. Basically, LAF enables liquidity management on a day to day basis. In August, 2005, RBI introduced an anonymous screen based order matching module called NDS-OM. This is an order driven electronic system, where the participants can trade anonymously by placing their orders on the system or accepting the orders already placed by other participants. In this market, a participant, who wants to buy or sell a G-Sec, may contact a bank /PD/ financial institution either directly or through a broker & negotiate price and quantity of security. Such negotiations are done on telephone and a deal may be struck if both counter parties agree on the amount and rate. RBI has launched NDS-OM-Web on June 29, 2012 for facilitating direct participation of gilt account holders (GAH) on NDS-OM through their primary members (PM) (as risk controller only and not having any role in pricing of trade). The GAH have access to the same order book of NDS-OM as the PM. GAH are in a better position to control their orders (place/modify/cancel/hold/release) and have access to real time live quotes in the market. Major players in the G-Secs market include commercial banks and PDs besides institutional investors like insurance companies. Other participants include co-operative banks, regional rural banks, mutual funds, provident and pension funds. Foreign Portfolio Investors (FPIs) are allowed to participate in the G-Secs market within the quantitative limits prescribed from time to time. Corporates also buy/ sell the G-Secs to manage their overall portfolio. The CCIL is the clearing agency for G-Secs. It acts as a Central Counter Party (CCP) for all transactions in G-Secs by interposing itself between two counter parties. In effect, during settlement, the CCP becomes the seller to the buyer and buyer to the seller of the actual transaction. All outright trades undertaken in the OTC market and on the NDS-OM platform are cleared through the CCIL. The Fixed Income Money Market and Derivatives Association of India (FIMMDA), an association of Scheduled Commercial Banks, Public Financial Institutions, Primary Dealers and Insurance Companies was incorporated as a Company under section 25 of the Companies Act,1956 on June 3, 1998. FIMMDA is a voluntary market body for the bond, money and derivatives markets. FIMMDA has members representing all major institutional segments of the market. The membership includes Nationalized Banks such state Bank of India, its associate banks and other nationalized banks; Private sector banks such as ICICI Bank, HDFC Bank; Foreign Banks such as Bank of America, Citibank, Financial institutions such as IDFC, EXIM Bank, NABARD, Insurance Companies like Life Insurance Corporation of India (LIC), ICICI Prudential Life Insurance Company, Birla Sun Life Insurance Company and all Primary Dealers. FIMMDA represents market participants and aids the development of the bond, money and derivatives markets. It acts as an interface with the regulators on various issues that impact the functioning of these markets. It also undertakes developmental activities, such as the introduction of benchmark rates and new derivatives instruments, etc. It is a market where investors/ buyers, and issuers of securities/ sellers engage in issue/subscription/ trade of financial securities like shares, bonds etc. In this market, the long-term securities are traded. It consists of two types which are the Primary market and Secondary market. In this market, securities (shares, debentures, bonds etc) are offered to the public for the first time for subscription with a view to raise capital fund. a) When a company makes either a fresh issue of shares or an offer for sale of its existing shares or both for the first time to the public, it is called IPO. b) When a company which is already a listed company, either makes a fresh issue of securities to the public or an offer for sale to the public through an offer document, it is known as FPO. Rights Issue (RI) is one, when a listed company proposes to issue fresh securities to its existing shareholders as on a record date. A private placement is an issue of shares or of convertible securities by a company, to a select group of persons under the provisions of Section 81 of Indian Companies Act, 1956, which is neither a public issue nor a rights issue. Once the securities are issued in the primary market and/or listed in the Stock Exchange, these can be traded in a market called the Secondary Market. It is a platform for the investors to buy and sell the securities. Secondary Market refers to a market where securities are traded after being initially offered to the public in the primary market and/or listed on the Stock Exchange. Cumulative Preference Shares: A type of preference shares on which dividend accumulates if remains unpaid. Cumulative Convertible Preference Shares: A type of preference shares where the dividend payable on the same accumulates, if not paid. Securities Transaction Tax (STT) is a tax being levied on all transactions done on the stock exchanges at rates prescribed by the Central Government from time to time. The Government of India notified the Securities Transaction Tax Rules, 2004 and STT came into effect from October 1, 2004.